The Upper East Side home of late celebrity chef and TV personality Anthony Bourdain is on the market asking $3.7 million. 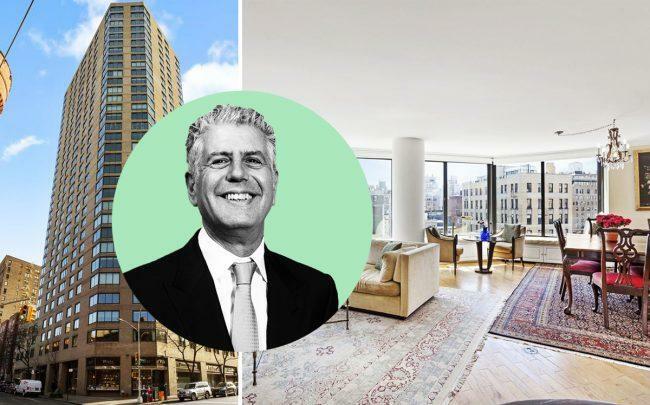 Bourdain, who died of an apparent suicide in June while filming a segment of his show in France, bought the Carnegie Hill apartment at 40 East 94th Street with his wife, Ottavia Busia, in 2014 for $3.35 million. The couple became estranged, though, and Bourdain left the bulk of his $1.2 million estate to their daughter, Ariane, according to the Wall Street Journal. Elizabeth Fishman at Stribling & Associates has the listing for the Carnegie Hill Tower apartment and declined to comment on the reason for the sale, the Journal reported. The home is a block from Central Park and spans roughly 2,250 square feet with Italian marble bathrooms, bamboo hardwood floors and large windows that look out onto a tree-lined courtyard, according to the newspaper.